Welcome to the trail! 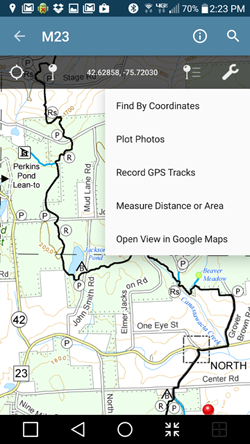 This interactive map can help you find the Finger Lakes Trail, access points, shelters and camping places along the trail in your region. This is an overview map and if you would like more detail, we recommend that you purchase maps, guides, and GPS files from the FLT Store. 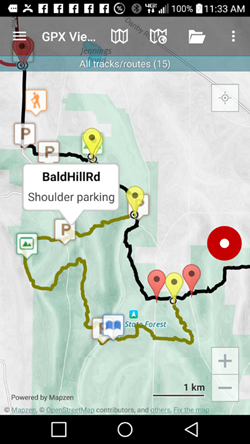 These maps and their trail descriptions are particularly useful when the trail joins other trails or woods roads not depicted on the interactive map. 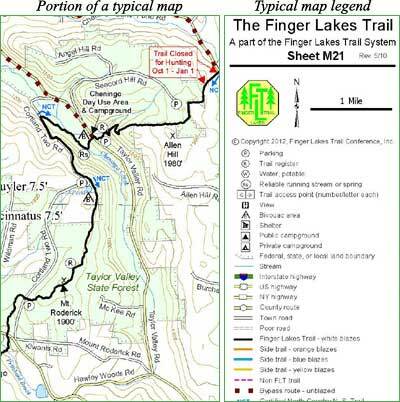 The map below shows the entire Finger Lakes Trail system including the main FLT, branch trails, loops, spurs, and the portion of the North Country National Scenic Trail carried on the FLT system. View map full Window Trail data © Copyright 2018, Finger Lakes Trail Conference, Inc.
FLTC maps are printed on durable, waterproof 8-1/2 x 11 Rite-in-the-Rain® paper. Low cost, light weight, and no batteries needed! 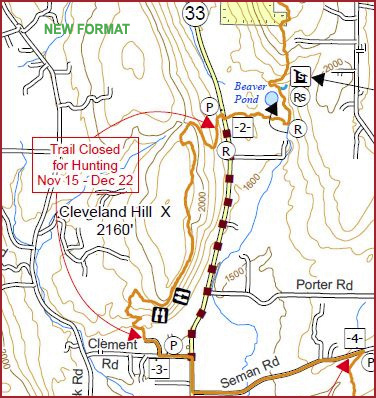 The back of each map contains a step-by-step guide to the trail section including trailheads, mileage, hiking directions, lean-tos and camping spots, sources of drinking water, points of interest, and important notices regarding trail closures during hunting seasons. Example from a typical map. GPX files can be uploaded to your GPS device or smart phone and contain high-resolution tracks and waypoints. Download a sample file here and try it on your GPS device. Example from a typical map.